We at AAF Racing have been building race cars for more than 8 years and have been installing all types and brands of after market shifters. Every shifter we install has had it’s pluses and it’s draw backs. We have tried to take the best from all of them and put what we have learned into our new innovative design. The AAF Shifter has more adjustments than any other shifter on the market giving you the ability to tune it exactly to your liking. If you want to change something about the way it works, most likely there is an adjustment for it. This makes the AAF BMW Race Shifter the most versatile on the market today. Throw Ratio: The AAF BMW Race Shifter allows for a significant throw ratio adjustment. The knob height must remain at the same height and position for obvious ergonomic reasons. This means in order to incorporate a throw ratio adjustment WITHOUT changing the position of the knob or the pivot point, the location of the shift shaft connection must move closer or farther from the pivot point. This is done in the lower section of the shift lever. 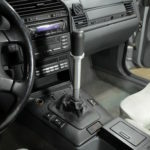 Adjustable Shift Shaft Included: We include the AAF Adjustable Shift Shaft with every AAF BMW Shifter because we believe it is essential for optimal shifting. 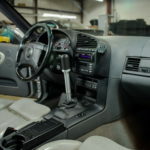 With an adjustable shift shaft, you are able to move the shift knob forwards or backwards, as well as left or right (closer or farther from the steering wheel). You can make all these changes without affecting the spring position of 3rd and 4th gears. The shift shaft has an adjustment range from 165mm to 245mm. Knob Height: The AAF Race Shifter is capable of a total knob height change of 50mm while still having 3 different options for throw ratio. There are two knob spacers included, a 25mm and 50mm. This allows you to thread the knob down tight and lock it into place. Spring Center: Coupled with the AAF Adjustable Shift Shaft, the position of where your AAF Shifter springs to center is totally adjustable. 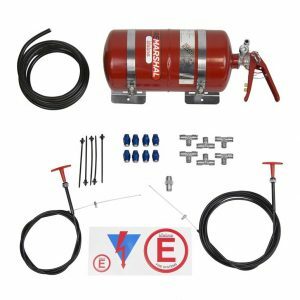 There are two screws per center locator that can be used when setting your center position, then the upper cap will be locked down to ensure your center preference position never moves out of adjustment. 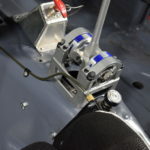 Spring Rate: One of the most unique features of the AAF Race Shifter is the centering spring mechanism. Unlike most shifters that use a typical steel spring, the AAF Race Shifter uses a polyurethane spring. We chose to use a polyurethane spring for several reasons. The polyurethane spring absorbs shock and vibration load that a typical steel spring would magnify and resonate. 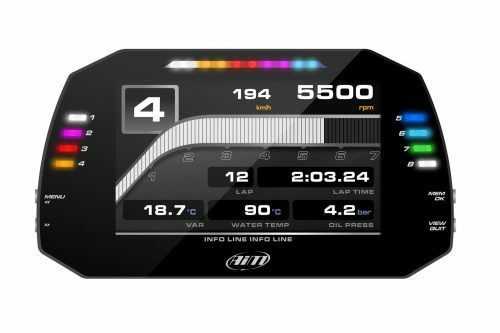 This gives the AAF Race Shifter a connected feel to the transmission that is unmatched. 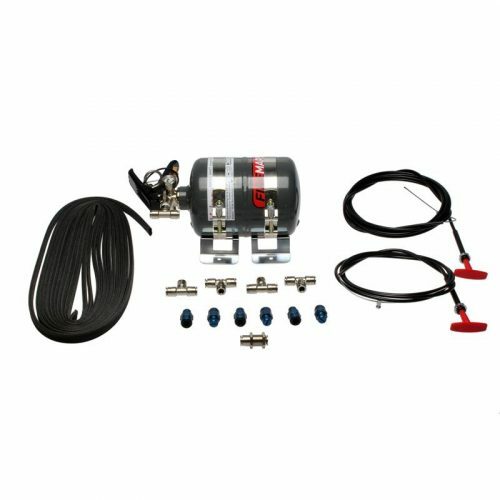 The AAF Race Shifter features two polyurethane springs. With the ability to adjust the centering location of each spring independently, not only can you use that adjustment to take up any slack that is present but also input any amount of preload into the spring. AAF also offers multiple different spring rates of polyurethane. The polyurethane springs are 3D printed right here at AAF. This manufacturing method allows us to make very intricate and customizable shapes and spring rates. The right spring to start off with is the medium spring rate. It’s easy to change out later if you want more or less. Mounting and Installation: Unlike other aftermarket shifters, the AAF BMW Race Shifter is centered directly over the factory shifter hole. This allows for the AAF Race Shifter to be installed in many BMW applications. This means you do not have to cut up your center console! 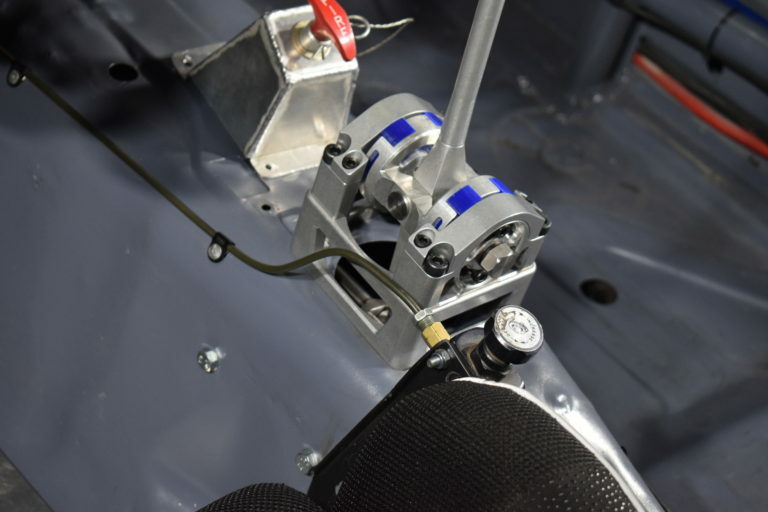 This makes the AAF Race Shifter ideal for race cars, street cars, and track day toys. This makes installation an easy job! There are currently two different transmission tunnel supports for the E30 chassis. The street mount is a precision water-jet cut flat plate that reinforces the chassis from directly beneath the shifter. The race mount bolts in on the sides of the transmission tunnel to eliminate any flex in the sheet metal giving it the most connected feel in the industry. Please add in the notes if you have a six speed or any kind of engine or trans swap so we can get you the right shift shaft length.